Being a travel photographer sounds like a glamorous and highly desirable specialty to be into but (like many things) the reality is a little different to the fantasy. 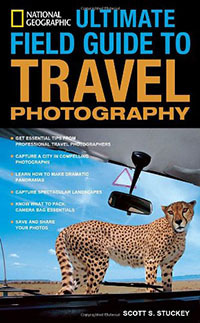 Making a successful living as a fine art travel photographer can be difficult, just like any other genre of professional photography, and it does have its own peculiar set of challenges that the photographer must deal with to make sure everything goes according to plan. Joel Wolfson sat down with me to talk about his fine art travel photography business and how he plans for success before every trip. Joel Wolfson is a successful fine art photographer who also loves teaching as much as shooting. He’s pursued both of these passions since college in the mid-80s, and shares his 25+ years of experience as a working pro with other photographers by way of his workshops, 1 on 1 training, webinars, articles, his blog and speaking engagements. Joel’s custom training and workshops are available to all levels of photographers, and he also works with great affiliates like Topaz Labs and Arizona Highways to create more avenues for working with those wanting to pursue their love of photography. He’s been published internationally and his articles have been translated for use in more than 30 countries yet he is best known for his artistic images of nature’s fleeting moments and unexpected views of everyday places around the globe.